Want to add some music to bath time? 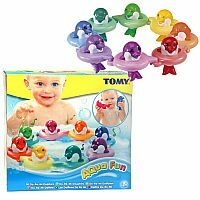 TOMY’s Do-Re-Mi Dolphins are the way to go! 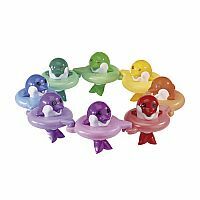 All eight of these rainbow themed dolphins make a different musical note with a tap of the head. 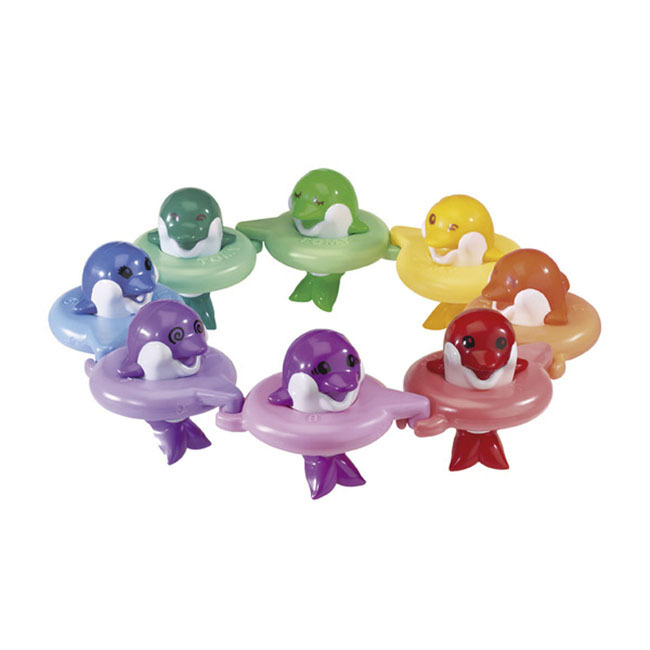 Match each one to its similar colored floating ring, and then link them together in a line or a circle, or simply sing and splash around! Good for ages 1 and up. 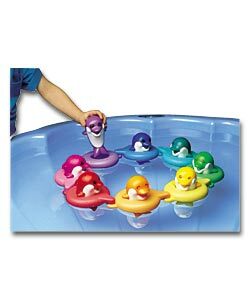 Measures approximately: 11.00 x 12.00 x 4.00 inches..